To-do list in the wrong Project? No problem! Just move it to the right spot. Problem solved! Go to the item you want to move, then choose Move to from the "•••" menu. 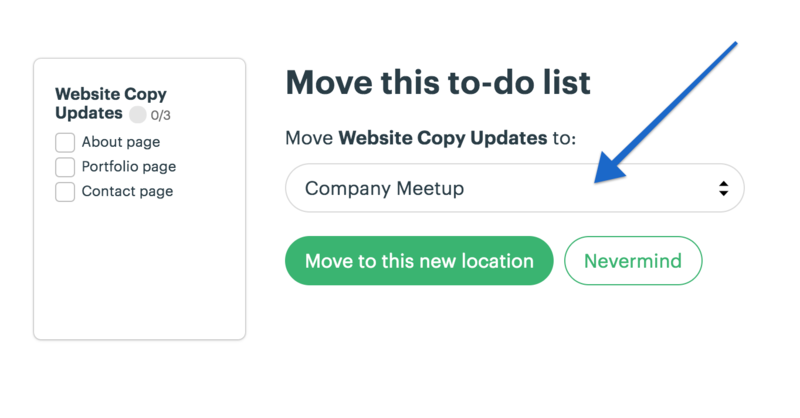 Choose the Project in which the item belongs from the drop-down list, then click the green Move to this new location button. That's it! You'll be taken to the item's new rightful home. All the comments from that item's original home will be moved over to the new location. Pretty much the same deal as moving! Go to the item you want to copy, then choose Copy to from the "•••" menu. 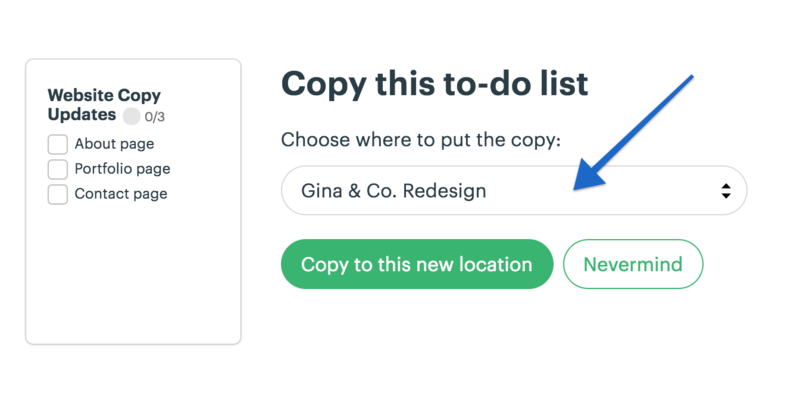 You can copy an item to another Project, or duplicate it in the same Project. Select the Project you want, then click the green Copy to this new location button. And voila; you'll be directed to the new copy of that item -- and any comments attached to it -- in the Project where it also lives. The original will be right where you left it. Changes made to one item won't sync to the other; they exist separately.